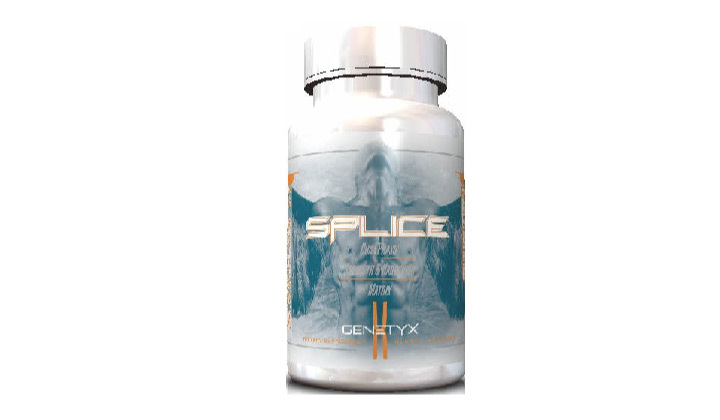 Splice by Genetyx Labs is a great multi-compound prohormone to get excellent lean gains. Each pill contains 50 mg of 5a-etioallocholoan(2,3-c)pyrazole-17b-tetrahydropyranol (P-Stanz) and 15 mg of 17b-hydroxy-2a,17-dimethyl-5a-androstan-3-one azine (D-Zine). This is a good combinaison to drop bodyfat levels and get lean muscles but Splice is not perfect : since the Prostanozol dosage is low, you only get a little more benefits than with a normal P-Stanz prohormone. My suggestion : you better focus on the effects from Dymethazine with Splice ! Genetyx Labs gives the best of two prohormones into one product “Splice” which contains 15 mg of Dymethazine (17b-hydroxy-2a,17-dimethyl-5a-androstan-3-one azine) and 50 mg of Prostanozol (5a-etioallocholoan(2,3-c)pyrazole-17b-tetrahydropyranol). Splice is an effective prohormone to take if you want have lean muscle gains while also cutting some fat. Where to buy Splice – Genetyx Labs ? Splice is no longer available on the market. We recommend you to read our article about the best prohormones of 2019. Want to share your review for Splice – Genetyx Labs ? You can select your own rating on the right side (User Rating) and leave out a comment. You might be interested in: Dianabol by Hi-Tech Pharmaceuticals – Supplement for Regeneration!